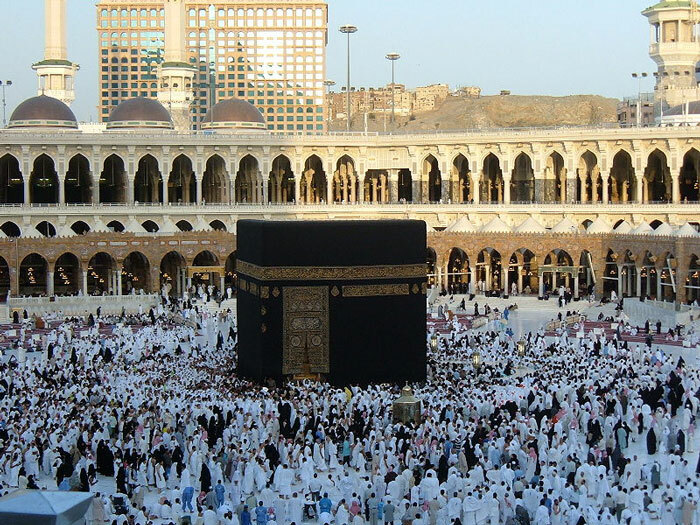 A Mahram (Arabic محرم) is a man who must accompany a woman on the journey for Hajj or Umrah. More specifically, the man must be the husband or another relative who cannot legally marry the woman, according to Islamic law. According to Imam Abu Hanifa رحمة الله عليه, a foster-mother is someone who has breastfed her child within a designated period of two and a half years. If this has taken place, the child’s foster relatives i.e. foster-father, foster-uncle, foster-grandfather will be considered Mahrams. According to the Hanafi, Shafi’i and Maliki schools of thought, the Mahram for a woman doesn’t have to have reached the age of puberty although he must be old enough to provide her with sufficient care. The Hanbali school of thought stipulates that he has to have reached the age of puberty to be considered a Mahram.